We’re thrilled to share that Event Genius and Ticket Arena have been shortlisted for ‘Best Ticketing Company’ and ‘Best use of Technology’ at this year’s prestigious Event Production Awards (EPA). The nominations, which were revealed in an announcement by the EPA team earlier this week, are a recognition of the innovative new features, quality of life improvements and outstanding levels of service we have provided to our clients in 2018. In the past year, we’ve redefined what it means to be a ticketing agent within the events industry.  We now provide the UK’s only end-to-end platform of white-label solutions that covers online ticketing, access control, fan engagement apps, rich data analytics AND cashless payments (via Event Genius Pay) and it’s for this reason we’ve been shortlisted as ‘Best Ticketing Company’. 2018 was also a year in which Event Genius Pay thrived. Our award-winning cashless POS solution led the way in the transition to cashless UK and EU markets, helping more festivals and events than ever offer their fans the ability to pay with a tap of their wristband. It was for our exemplary delivery of Event Genius Pay at AMP Lost & Found Festival across multiple locations on the Island of Malta that we have been shortlisted for ‘Best use of Technology’. To celebrate the nominations (and hopefully a win or two) we’ll be sending members of our team to the EPA’s 8th award ceremony on Thursday 14th March 2019 at The Novotel London West.